October is my favorite time of year. The leaves are changing colors, it’s finally sweater weather, and we get to celebrate my favorite holiday - Halloween. In fact, all of October is basically the Halloween season for me. One day to celebrate Halloween is simply not enough. There are too many books to read and TV specials to watch - not to mention the trick-or-treating - to try and contain the holiday inside the 24 hours of October 31st. October 1st seems like an appropriate time to bust out the spooky decorations and begin putting all of our scariest books in a pile by the bed. I’m very nostalgic for a childhood Halloween. The child’s imagination can brew up some very memorable times during this holiday. I always put a lot of thought into what I wanted to be for Halloween, and walking around the neighborhood and seeing everyone dressed up was always just a perfect moment. It’s just one of those perfectly happy times in childhood that I was absolutely certain I was doing exactly what I wanted to be doing. And there are many, many things about the holiday that are very vivid memories for me. One of those memories was school Halloween carnivals. The entire school would be decorated and every classroom would have a different theme or game. Best of all, all of my peers were running around the school playing in their costumes. Another vivid memory throughout the years is how all of my favorite shows on TV would have a Halloween special as the big day neared. And local channels would always play famous Halloween specials like A Disney Halloween or It’s the Great Pumpkin, Charlie Brown. 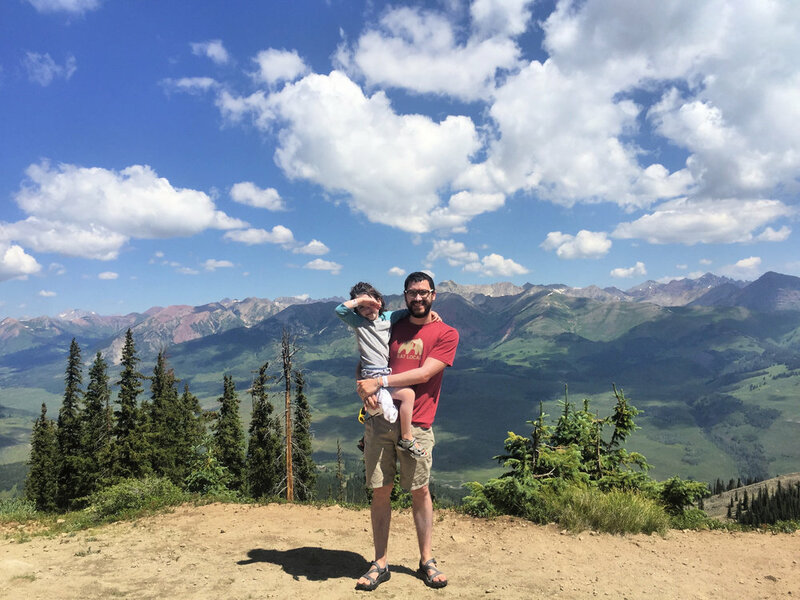 That particular aspect has changed a lot with everybody streaming their content now instead of watching live TV, but that just means parents need to be even more deliberate about setting the tone of the season themselves. A duty I willingly accept! Of course, one of the best times to set the Halloween mood is during story time. Typically we pack up our holiday-specific books with the decorations, but never the Halloween ones! Sometimes I need my scary stories and my Halloween stories year round. It’s important to point out though, in my opinion, that scary stories are not necessarily the same thing as Halloween stories. We’ve already compiled a list of our favorite scary picture books, but that’s a very different list from this one. Those scary books could be books about being scared of the dark or afraid of monsters (including witches and ghosts and mummies and zombies), but not necessarily set during Halloween at all. Of course, reading those scary books near Halloween is still a great idea, but I don’t call them “Halloween books”. If you’re going by that definition, I actually think it’s a bit hard to find a good list of Halloween books. 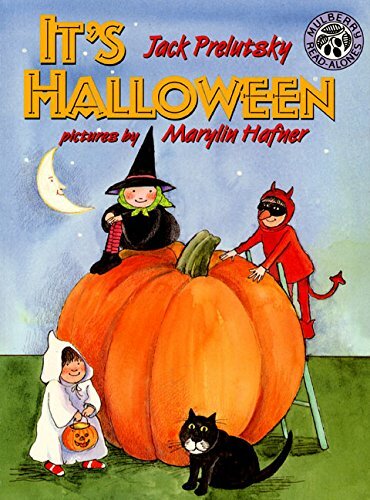 As a parent, if I google “best Halloween picture books”, what I’m hoping to find are books that celebrate the magic and spookiness of the season - and all of the Halloween rituals and memories that fill me with nostalgia. I don’t particularly want to find Room on the Broom (an absolutely awesome book by the way) just because it has a witch in it. Unfortunately, there are also many Halloween lists with an overwhelming number of Halloween-themed parody books and counting books (hey I like counting as much as the next guy) without much of a story to get excited about. In order to be considered for this Halloween list, books must very clearly be set during the Halloween season and celebrate Halloween. And they are ranked in order of how much they bring us the legitimate Halloween feels. 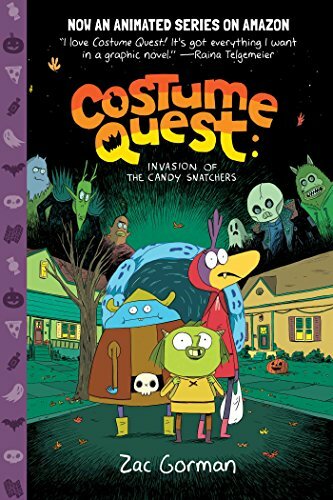 We actually discovered this very popular Halloween book after already falling in love with the Captain Underpants and Dog Man books by Dav Pilkey. That made it a pretty easy sell for our son. The illustrations (and evil cats) are very familiar for fans. 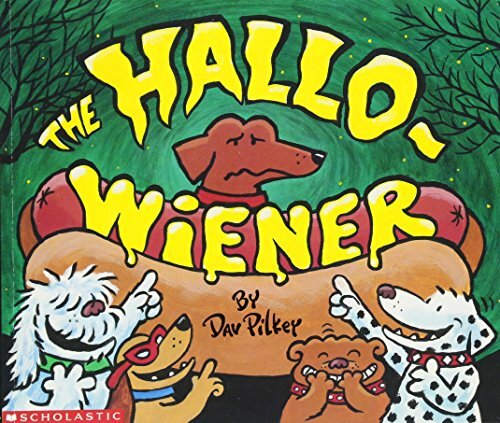 In The Hallo-Wiener, Oscar the dachshund is bullied by the other dogs because of the way he looks, and it doesn’t help that his mom picked out a hot dog costume for him for Halloween. It turns out all that bullying was a pretty bad idea, because when a Halloween monster attacks the dogs while they’re trick-or-treating, Oscar might just be the only one around who can save the day. Pilkey’s illustrations are always really fun, but dogs in Halloween costumes might just take the cake. 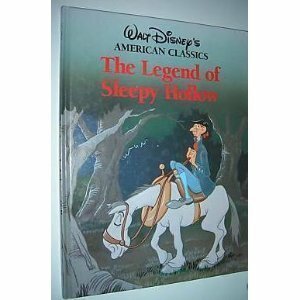 If there’s a classic U.S. Halloween story, it must be The Legend of Sleepy Hollow. It’s one of those stories everybody simply knows. It’s stood the test of time and it permeates Halloween culture. It’s perfectly creepy and has the ultimate Halloween monster of all time. It also happens to be the tale of one of my very favorite episodes of Nickelodeon’s Are You Afraid of the Dark?, but that’s perhaps besides the point. There are many wonderful versions of this story, but for this list of picture books I have to recommend the Disney version above all. It cuts out a lot of the (boring for little kids) setup of the story and the pictures are of course wonderful. You’re going to have to track down a used copy of that one though. There simply isn’t a more quintessential spooky Halloween image than the Headless Horseman hurling his jack-o-lantern head at Ichabod Crane. The video game bottled up the magic of Halloween and distilled it down to its essence. Playing that game for the first time brought up happy Halloween feelings I had long since forgotten. If you enjoyed the video game, reading this book is a no-brainer. And (holy smokes!) it’s going to be made into a TV show for Amazon soon too. Make sure to keep an eye out for that one, Halloween lovers. In the book, friendly, candy-starved monsters called Grubbins travel to the human world on Halloween on a dangerous quest for candy. It’s adorable to see how excited they are to experience trick-or-treating for the first time. The characters here are very endearing and very funny. The world of Costume Quest is simply special. I am a huge fan of the Garfield Halloween TV special, and the book version (originally titled Garfield in Disguise) is a great comic strip adaptation. This story starts out cute and funny, and then takes a sharp left turn into something shockingly terrifying. Just the way Halloween should be! The book is a graphic novel, and it’s very faithful to the TV special. There’s just a slight difference in the ending when Garfield and Odie return home thinking they’re safe from the pirate ghosts. Unfortunately the book is one you’ll have to track down used at this point. Some of the spooky images created by Jim Davis are etched into my memory forever. And Garfield’s excitement for Halloween and trick-or-treating is palpable, and the best portrayal of that excitement I’ve ever seen. 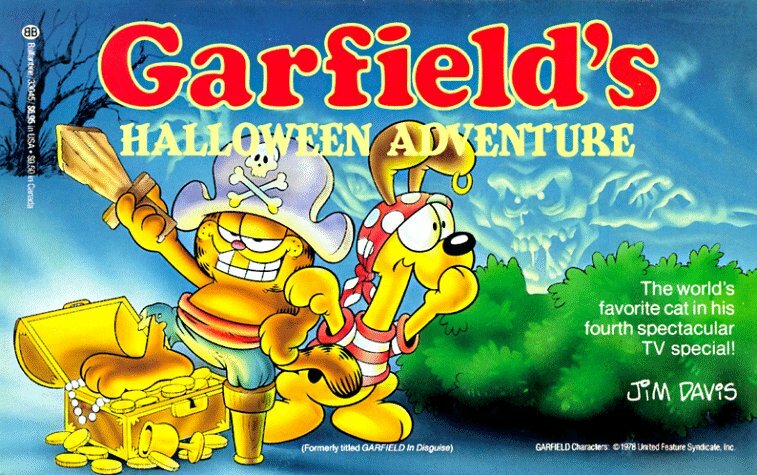 The truth is that nothing gets me more in the Halloween spirit than Garfield and his Halloween adventure. And Odie with a jack-o-lantern on his head is a pretty wonderful image. 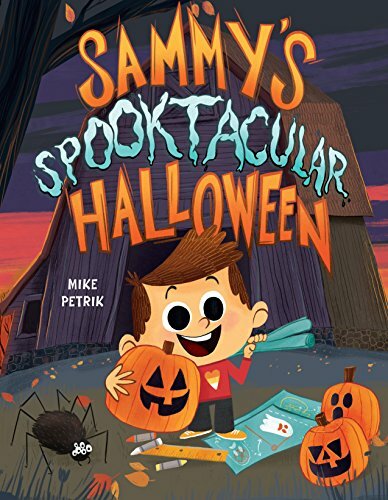 The newest book and the only Halloween book from this season on our list is Sammy’s Spooktacular Halloween. Mike Petrik has created a very high quality love letter to Halloween. The style of the illustrations is very much up my alley, and when I saw the cover for the first time I found myself desperately hoping that the story was good. The good news for all of us is that it’s a wonderful story about a boy who loves Halloween more than anything. Sammy reminds me very much of my son. He’s obsessed with inventions - my son has said for a long time he wants to be an inventor when he grows up - and when he has an idea or a mission he doesn’t soon forget about it. Sammy’s mission is to make the best Halloween haunted house ever (lots of inventing and testing required), and he works on it all year long - much to the chagrin of his family. The combination of this relatable story and the beautiful and spooky art makes this a special one that I can tell our family will revisit every Halloween. 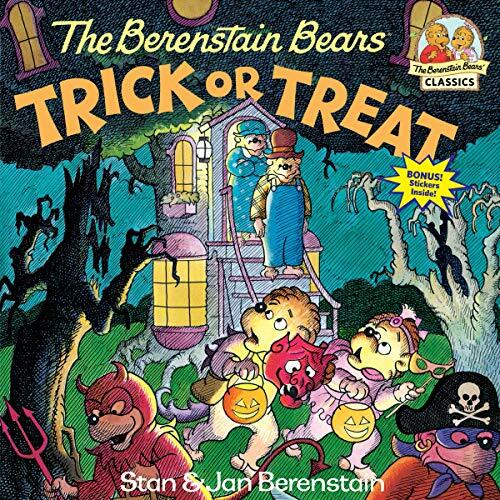 Halloween with the Berenstain Bears is the definition of classic Halloween. I mean it’s the Berenstain Bears for crying out loud. It’s the very definition of quintessential middle class American families dealing with normal stuff that families deal with - except they’re bears. Trick or Treat absolutely nails Halloween. From the kids excitedly trying on their costumes to Papa Bear carving the jack-o-lantern to the rules the kids need to follow if they go trick-or-treating by themselves - it’s all perfect Halloween atmosphere. I particularly love how they make a map for optimal trick-or-treating, and how they run into a gang of older kids while they’re out. How Halloween is that? I’m not even the slightest bit hesitant to include two Berenstain Bears books on the same list. These bears know Halloween. 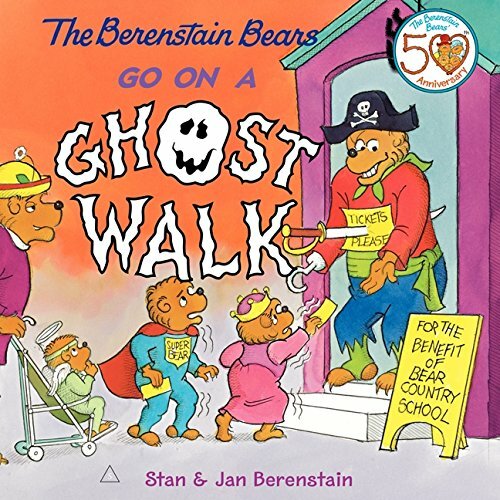 I like both books a lot, but The Berenstain Bears Go on a Ghost Walk gets the slight nod here over Trick or Treat because I really love Papa Bear in this one. I find him very, very relatable for me. Papa Bear has always loved Halloween since he was a little cub, and this year he’s very excited to be in charge of the school’s haunted house. Throughout the book he gets carried away with his excitement, and he goes a little bit overboard with the scary. In the end he learns a good lesson about making Halloween fun for everyone. Once again The Berenstain Bears do an amazing job highlighting little Halloween moments to set the mood and call out your nostalgia - things like choosing the right pumpkins for your jack-o-lanterns and covering the school in cobwebs. The Halloween Kid is a book that found us at exactly the right time as a family. Our son was three and he thought it was the absolute funniest thing in the world. We would read it over and over again the first Halloween we had it. He wanted us to make him lassos and to practice his “trackin’ skills.” The story is exciting and funny and it absolutely celebrates Halloween to its very core. 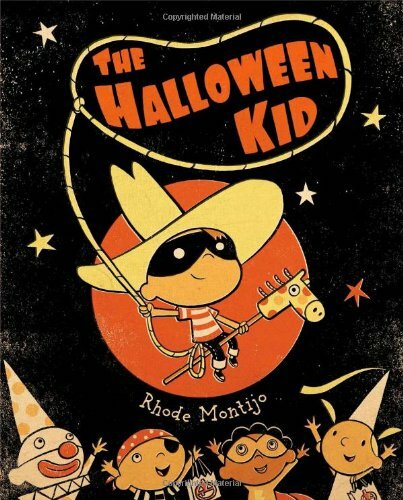 I love the illustrations and the style, and I love how much Rhode Montijo loves Halloween. The whole thing is one big, old-timey love letter to the season, but then the Goodie Goblin’ Goblins come and try to ruin Halloween for everybody. This looks like a job for The Halloween Kid. You can read our full recommendation for The Halloween Kid here. Poetry can be a wonderfully effective way to elicit feelings from the reader if done well. 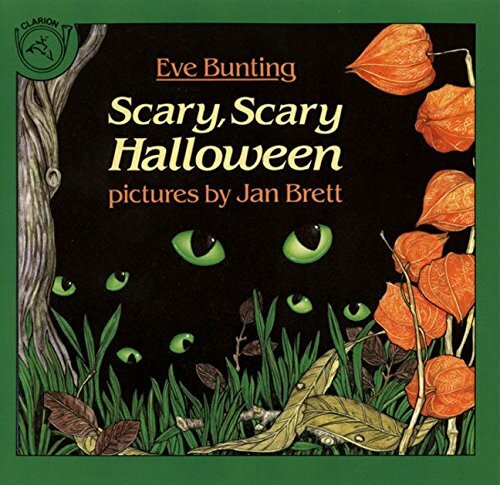 Eve Bunting’s poem Scary, Scary Halloween is masterful. The rhymes aren’t forced at all - it reads very smoothly and beautifully - and it’s genuinely very, very creepy. The structure of this story is brilliant. A family is hiding as they watch all sorts of monsters walk around the neighborhood. Jan Brett is one of our favorite artists and her illustrations of all the monsters are of course stunning. As they watch the monsters outside, the mother tries to keep her family safe. This is a perfect Halloween book. Even if you know what’s really going on with this family and these monsters outside, the structure of the story and the twist ending are brilliant and beautiful. Jack Skellington and the imagery in The Nightmare Before Christmas is something I look forward to sharing with my children every year. 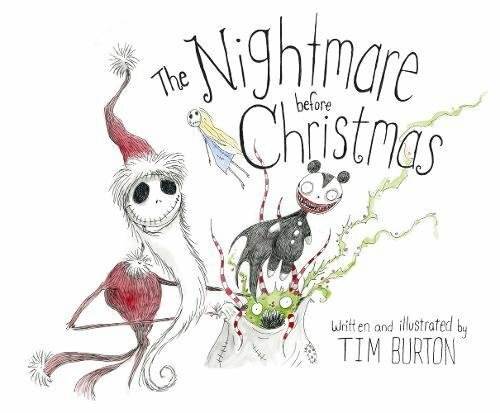 If you’re a fan and you’ve never experienced the book, you really must read Burton’s poem that started it all and see his beautiful illustrations. 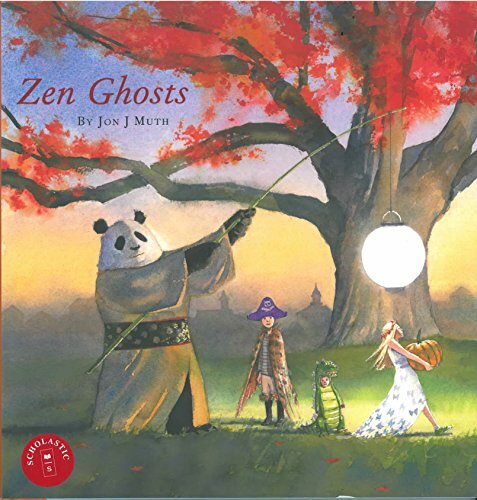 Jon J. Muth has done it again with another unbelievably good picture book featuring Stillwater the giant panda. This book features two of the most beautiful Halloween drawings I have ever seen in my life. The two-page spread of the trick-or-treaters is jaw-droppingly perfect, and I would have paid full price just for the endpapers. Once again, Stillwater has a good story up his sleeve to tell his friends, and this story is so incredibly good. He tells an eerie tale of young lovers who run from home so they can be together, and later return home to face the consequences. I kid you not, this story makes my hair stand on end every time I hear it. It’s a beautiful ghost story, and the ending is electric. Paired with the painfully beautiful drawings of Muth and the perfect Halloween atmosphere, the story has a big impact. This book is magical. There are of course many, many book versions of this adaptation from the legendary 1966 TV special now - for the record my favorite version has the text adapted by Lauryn Tuchman. But regardless of the version in your house, if Linus is displaying an unwavering determination to see the Great Pumpkin and Charlie Brown is carrying a bag full of rocks in a ghost costume with a few too many holes, a good Halloween is about to be had by all. 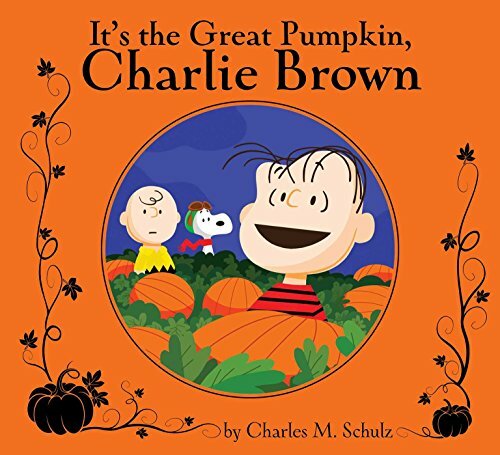 After watching Sally and Linus sitting together in that pumpkin patch year after year after year, It’s the Great Pumpkin, Charlie Brown has become a deeply-ingrained part of the Halloween season for all of us. It’s a true, widespread tradition by this point and it’s a joy to pass it down to our children. Which Halloween books does your family love reading the most? Let us know if we missed any of your favorites in the comments! Happy Halloween!